Plants from the genus Phyllanthus like Phyllanthus muellerianus have long been used in folk medicine for several ailments including fevers, toothache, dysmenorrhea, anemia and paralysis. Despite these folkloric uses, there is little scientific data supporting the use of this plant in the management of pain. 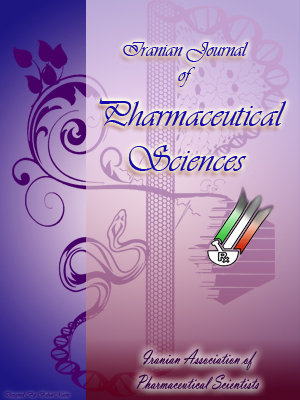 The purpose of this study is to evaluate the aqueous extract of the aerial parts of Phyllanthus muellerianus and its dominant secondary metabolite, geraniin for potential anti-nociceptive effects. The acetic acid-induced abdominal writhing and formalin–induced nociception tests were used to assess the anti-nociceptive effects of the aqueous extract and geraniin. Morphine and diclofenac were used as standard anti-nociceptive agents. The involvement of opioidergic, adrenergic, muscarinic, adenosinergic, serotonergic and nitric oxide pathways in the anti-nociceptive effects of the extract and geraniin were evaluated by selective antagonism of these pathways. Additionally, the effects of voltage-sensitive Ca2+ channels and ATP-sensitive K+ channels were also assessed by selective blockade with nifedipine and glibenclamide respectively. Oral administration of the aqueous extract (30, 100, 300 mg kg-1) and geraniin (3, 10, 30 mg kg-1) produced significant anti-nociceptive effects in both models of chemical nociception. The anti-nociceptive effects of both the extract and geraniin were not antagonized by L-NAME (10 mg kg-1), yohimbine (3 mg kg-1), atropine (5 mg kg-1), theophylline (5 mg kg-1), ondansetron (0.5 mg kg-1) glibenclamide (8 mg kg-1) or nifedipine (10 mg kg-1). Naloxone (2 mg kg-1), however, reversed the anti-nociceptive effects of only geraniin. In conclusion, the aqueous extract and geraniin obtained from the aerial parts of Phyllanthus muellerianus possess both peripheral and central anti-nociceptive effects in murine models of chemical nociception with the anti-nociceptive action of geraniin involving possibly the opioidergic pathways.